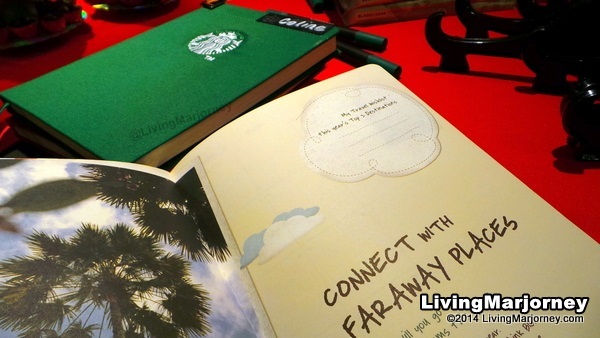 The much awaited reveal of the Starbucks Planner 2015 happened last night in an intimate bloggers' event held at Starbucks 6750 in Makati. 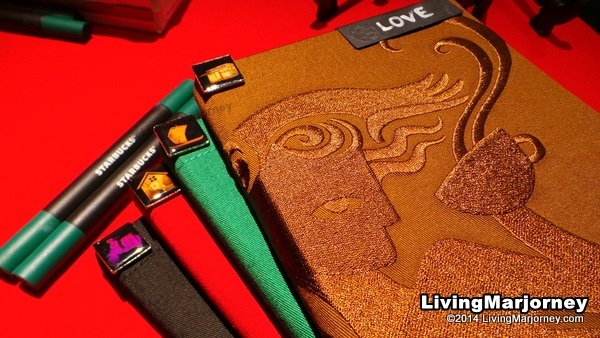 The planners are all gorgeous, you should see it for yourself. From four (4) colours, only the brown one comes in a different design. 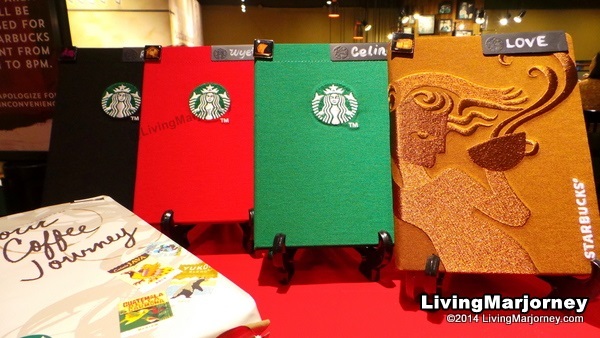 The three planners (green, red and black) has the iconic Starbucks Logo while the brown, The Siren! 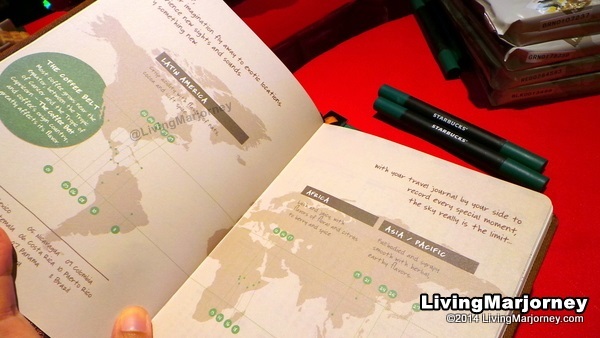 I'm sure you will also choose the brown Starbucks Planner which majority of us did. There are so many reasons why you should collect stickers and get yourself one of the four planners. Three days from now, starting November 3, Starbucks Philippines annual Christmas tradition returns with the 12th edition of the Starbucks Planner. Are you excited! Read more and see every pages of this gorgeous planner plus everything you need to know how to get the limited edition Starbucks 2015 Planner. a chalk pen with highlighter. It comes in a unique coffee bean foil packaging. 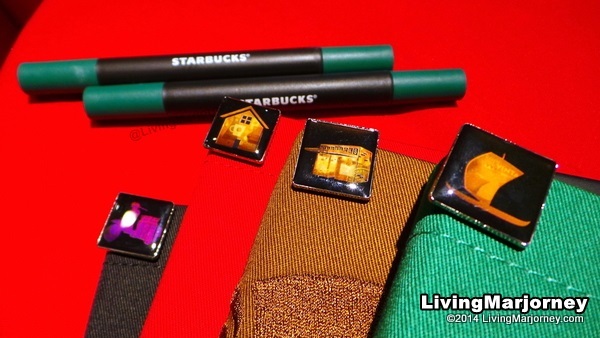 The 2014 Starbucks Planner has 14 coupons, this year fifteen (15) coupons with Starbucks treats you can use throughout the year. chalk pen with highlighter that smells like coffee. Use it to write your name. A customer can avail of a Starbucks Christmas traditions planner promo card from November 3, 2014 to January 8, 2015. One (1) sticker is awarded for each Starbucks beverage purchase. nine (9) core handcrafted beverages to redeem one (1) Limited Edition Starbucks Philippines 2015 Planner. Every purchase of a handcrafted beverage using a Starbucks Card will be awarded one (1) sticker and one (1) Beverage Star. Single receipt bulk purchase of food and other retail items (merchandise, whole bean, Starbucks VIA®) worth at least ₱7,000 will entitle the customer to one (1) Limited Edition Starbucks Coffee 2015 Planner. Combination of receipts is not allowed. Promotion starts on November 3, 2014. Stickers may be obtained starting Monday, November 3, 2014 to January 8, 2015. 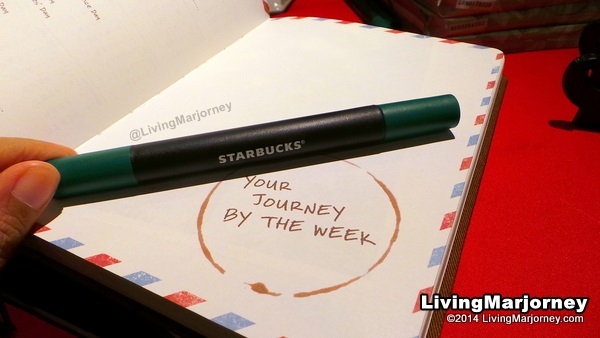 Redemption of the Limited Edition Starbucks Coffee 2014 Planner starts November 3, 2014 up to March 8, 2015, at Starbucks stores in the Philippines only. Yay, I got the Starbucks Planner 2015 color and design I wanted. I'm so excited to write our journey in 2015. Thank you StarbucksPH!